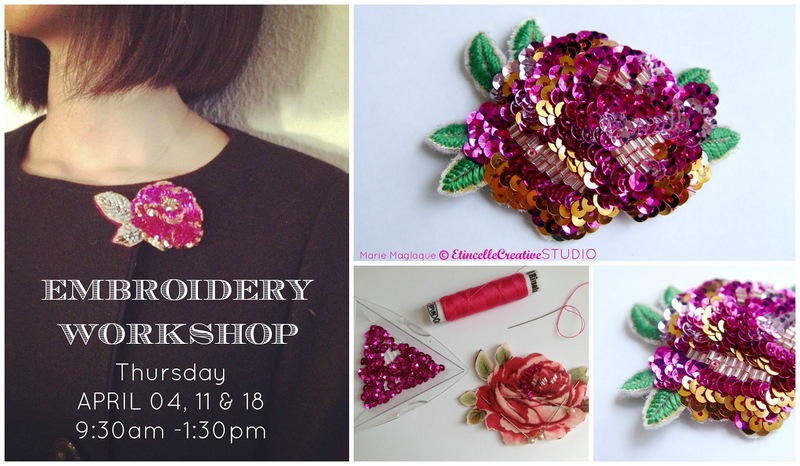 Marie Maglaque Blog: Upcoming Workshops! How is your day going? march has been passing by fast, and my children are starting their Spring holidays today. I have been super busy working on all my current projects and trying to complete them all so that I can fully devote my self to the kids next week. I am almost done except with the planning of all the activities I want to do with them! At the very top of my list is enjoying the cherry blossom or SAKURA in Japanese. This is a very special time for Japanese people and it involves some kind of ritual of going to the most beautiful places in Tokyo and elsewhere in Japan to just contemplate the beauty of the cherry blossom. You celebrate by having many picnics under the blossoming trees in the parks or along the canals. You take tons of pictures, you laugh and you feel light and happy. I cherish this time of the year in Japan so much! So we will do just that for as long as possible starting TODAY! Besides celebrating the arrival of Spring, I have worked on a new workshop for the month of April. Of course I wanted to teach my two favorite themes: flowers and embroidery. I have come up with the brooch pictured above and below and I will share all the details with you may you want to join me next month! What will you learn? 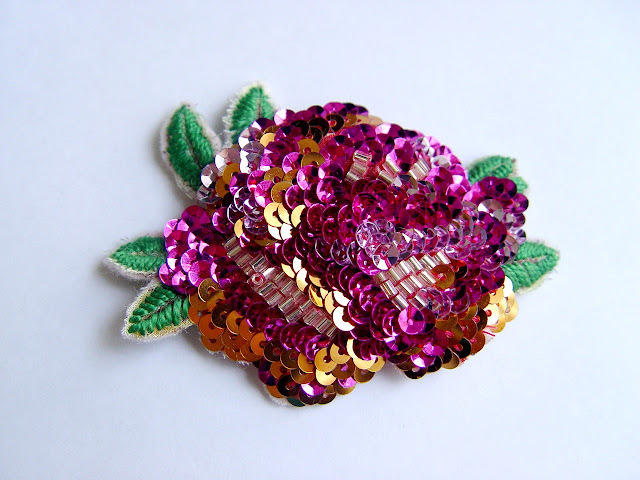 Well, it may look easy (or not) to achieve, but laying beads and sequins perfectly and harmoniously is a skill that requests its fair bit of practice. 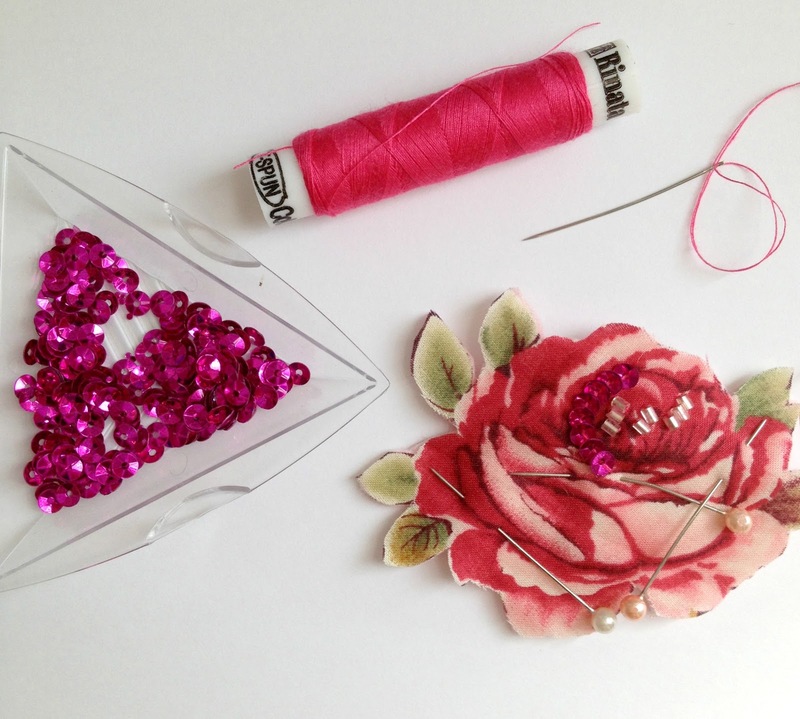 So I will teach you just that: how to lay beads and sequins, choose a color scheme and work out a shape to create the most sparkling of all accessories. 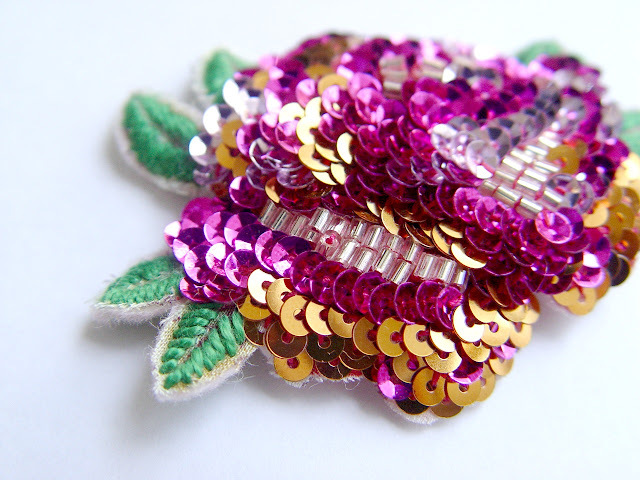 Flowers being my favorite subject, we will of course create a flower brooch that can also be used as a hair clip. It will enhance any of your looks this coming summer! Now you may wonder, how to sign up? 2. I will email you back with registration confirmation & payments instruction: by cash, bank transfer or Paypal. - Your booking will only be completed after payment has been confirmed. - We will not refund last minute cancellation. Sign-ups are transferrable as long as announced at least three days before the workshop starts (name, email & hp number of new participant must be communicated to us). I am so looking forward to teaching this workshops and see what everyone will come up with, I hope you will be able to join me if you are living in Tokyo!